Uppersia Iran Travel blog: Zagros, land of rise and falls. When it comes to mountain climbing in Iran, Zagros is the big one. Zagros is a very vast mountain range which is extended about 1600 kilometers, from north-west of Iran and even borders of eastern Turkey and northern Iraq to the south-east of Iran. 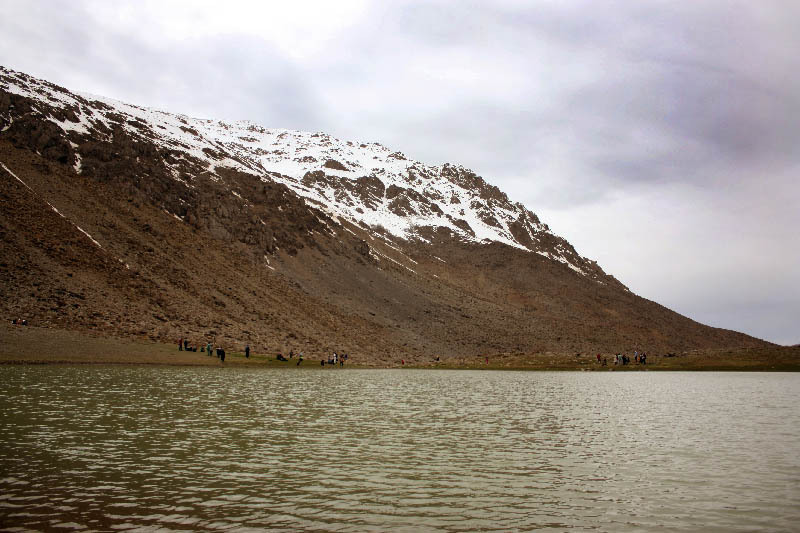 The highest point is Dena area with a peak about 4,409 meters high, located in middle Zagros. So, Dena is very popular among mountain climbers, adventurers and nature lovers. Visitors usually start their climbing or adventurous trip from a town named Si-sakht which is a town in “kohgiluyeh and boyir-Ahmad” province, surrounded by Zagros peaks with a beautiful wild nature. After few hour of driving from both Shiraz and Isfahan you can reach this town. 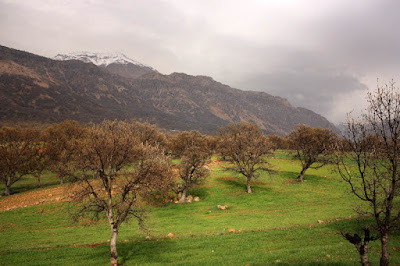 Staying in Si-sakht, renting a rural house and enjoying the fresh sky and weather, strolling in alleys and gardens full of apple, peach and walnut trees with the background of Zagros heights, covered with snow during four seasons of the year. Having a great camping experience on the gentle slopes, covered by oak and wild almond trees. Maybe you would like to get a little higher and more acquainted with the wild mountains. There is a lake named “kooh-gol” on a mountain that can be reached by about an hour of not tough mountain climbing. You can set up your tent around this small lake and have an unforgettable camping night. The nature of Zagros range's foothills. You need more adventure? If you are a professional mountain climber, climbing groups are available in Si-sakht most of the times and you can join them for an exciting hiking tour in Dena area. They are escorted by a local guide and equipped with technical climbing tools and suits. "Kooh gol" lake, on the heights. Northern route: You should Start the way from Khafr (the historical city in Semirom, Isfahan), and climb Kay-khosro canyon, up to the ridge. Eastern route: The way starts from Si-Sakht, entering Bijan col. You can reach different peaks of the ridge, including “Sichanli” and “Howz daal”, passing Bijan col.
Southern route: This route starts from Si-Sakht and enters “Boz kosh” canyon which means goat killer due to the steep slope! The route finishes on the “Howz daal” peak. During your climbing tour in Zagros you will be amazed with incredible landscapes of rivers flowing through the valleys, springs like “cheshme-mishi” and different waterfalls. This amazing nature is territory to many different animals like brown bear, antelope, panther, Persian squirrel, partridges and etc. Unique types of plants like wild red tulips and cypress trees are existing in this area which is a heaven to mountain climbers and nature lovers. You can just request for mountain climbing tours in Zagros and go for packing your trekking suits! Uppersia will do the rest and arrange your adventures tour. 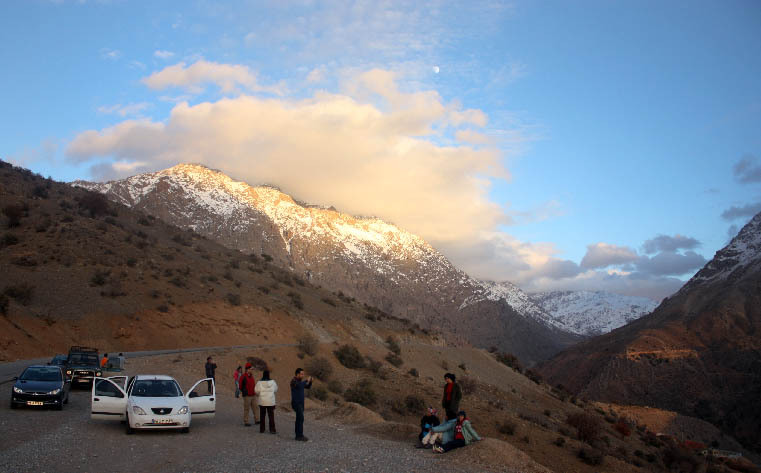 Young people enjoying their vacations on the Zagros heights.